Exhaust fans are the must-haves in every building be it commercial or residential. Explore the best exhaust fans in India and install one in your house too. Exhaust fans are needed for ventilating an enclosed place, for venting out the unhealthy moist air and for preventing the growth of the airborne pollutants that circulate within the room. If your kitchen, bathroom, or garage does not have an exhaust fan yet then explore the range best exhaust fans in India and get one now to keep it clean and ventilated. The latest models not only ventilate the space but also save more energy and money. These well-mounted fans can be installed in different areas of the house like kitchens, bathrooms, store rooms, and garages. Installing an exhaust fan is easy but one must take care of certain minor things while using it or maintaining it. The installation should be done by an expert to ensure effectiveness and maximum usage. Invest in the right product first of all. There are ample of options available in the market and in the online home appliance stores. Make sure to buy the best quality product, which has all the advanced features. Besides checking out all the features, take a look at the guarantee or the warranty label provided by the exhaust fans manufacturers in India. A well-known brand will obviously give a minimum of six months warranty on its products. The expert who is installing the fan should make the wall holes or vents according to the exact size and shape of the fan. Most of the people prefer to get their exhaust fans mounted on the walls or fitted in a gap or hole within the wall. While making the gap in the wall, ensure to make it exactly according to the size of the fan. If the gap or the hole is too big than the product then it will be tough to fix the fan’s blower. On the other hand if the gap or the vent is smaller in size then the blower will not just fit into it. Hence, it is essential to consider or measure the size of the fan prior to creating the vent in the wall. Placing the exhaust fan in the right position is important for an effective installation. 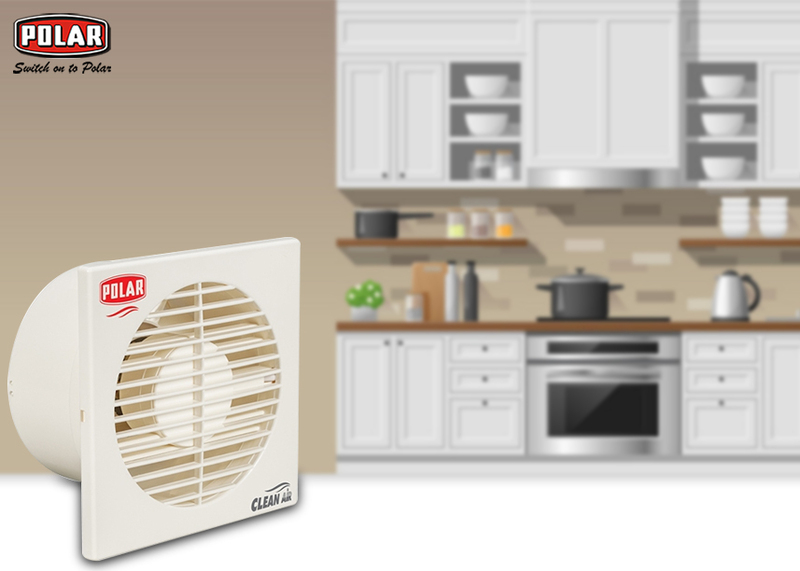 While installing the fan in the kitchen or the bathroom, the most important thing is placing it right. The effectiveness and functionality of the fan will depend on the position of it. For maximum efficiency, the fan must be fitted on the wall exactly opposite to the door of the kitchen or bathroom. This type of placement enables the fan to expel the stagnant air more forcefully. In return, the fresh air will directly come in and circulate in the space. In case the fan cannot be placed opposite to the door then look for a position opposite to the window. Following these steps would ensure the best possible installation of the fan in your kitchen, bathroom, or somewhere else in your house. This would make the fan run with maximum efficiency for a longer time.